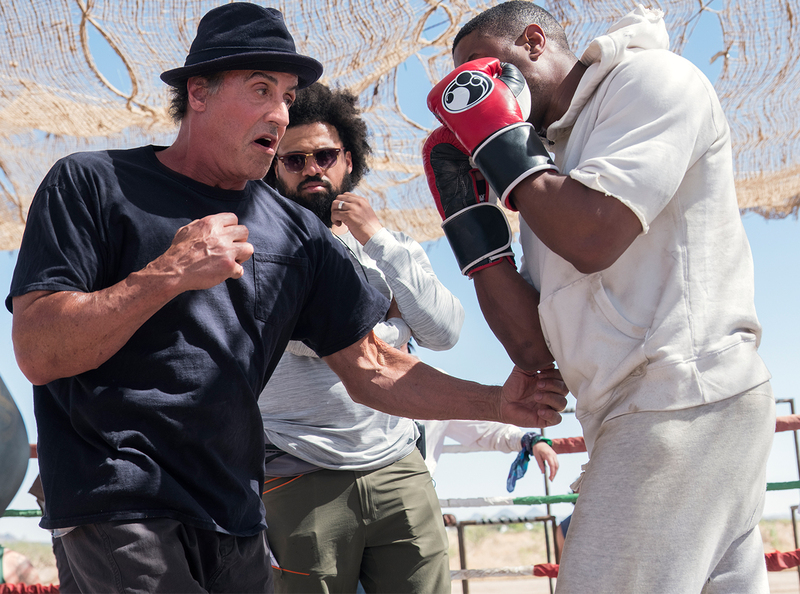 There are a few elements you can expect when watching a movie within the Rocky franchise: soul-searching fighters, comeback wins, and epic training montages. Sylvester Stallone could be credited with creating beats that are now commonplace in most boxing pictures with the first Rocky. Originally the sequence going to be shot in Death Valley, but the sky didn’t look quite right in the frame, so Caple moved production to New Mexico, to the small city of Deming. Since there was no gym in the world that matched what they had in their minds, the only option was to build everything on their own, which they gave the ominous name of Purgatoria El Box. “Everything from the water tower to the ring we brought in and built out ourselves,” says Caple. Once constructed the set became a playground of pain where they researched and tested out the most intense yet still practical training imaginable. Helping spearhead that effort along with Stallone, Caple, and Michael B. Jordan was trainer Corey Calliet, who is also an experienced boxer. Other moments were added as homage to past training montage from the franchise, like the sprinting scene. “I remembered that iconic shot that Sly had done in the first Rocky movie and I wanted to do my version of that,” says Caple. They upped the stakes by having Creed being chased down by his Mustang, finally breaking away in an epic moment.